Experimental Labs allow screen industry professionals who have developed interest and initial competencies in immersive to begin to experiment further in a collaborative and open environment. StoryFutures Academy mixes creative practitioners with cutting edge R&D to develop simple prototypes that push the boundaries of immersive storytelling. There will also be touring versions of the Experimental Lab format to allow organisations across the UK to hold their own events. To get started with Experimental Labs fill out our short expression of interest form. 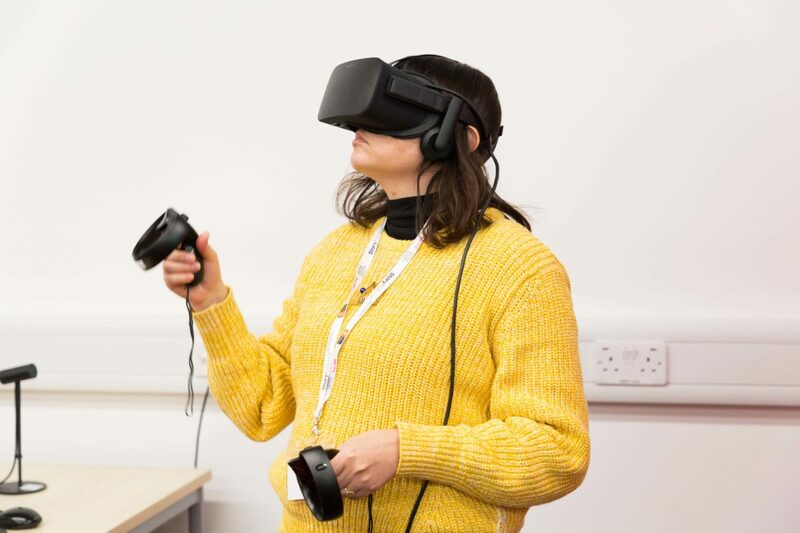 In early summer 2019, StoryFutures Academy will bring together some of the UK's leading comedy talent with the next generation in mixed reality headsets: Magic Leap. Working with leading StoryFutures Academy and Magic Leap creatives and technologists, we will explore the potential forms of comedy in mixed reality - creating low-level prototypes. Participation will be invite only. We will review any expressions of interest made to immersive@nfts.co.uk.